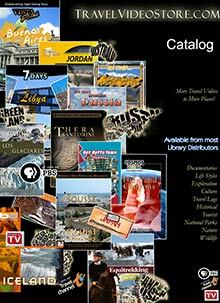 The Travel Video Store is a travelers #1 pre-travel destination featuring an enormous selection of unique and helpful travel videos and travel DVDs that help travelers pack, plan and look forward to their upcoming vacation! Whether you're headed for Maui or Paris, Travel Video store has the perfect Hawaii DVD or French travel DVD to pack in your suitcase! Your Savings will be applied automatically at the Travel Video Store checkout cart.